Linet Akinyi, a resident of Ndhiwa, rural Western Kenya, a widow and a mother of 6 children (3 boys and 3 girls) has been the sole bread winner in her family since the death of her husband six years ago. Life was not easy for Linet. A typical woman-led farming family, Linet exclusively depends on farming produce for income for school fees for her children, food and other basic commodities. Three years ago her three daughters and three boys would occasionally go to school and some days completely stay away because of lack of food, lack of school fees and lack of basic school requirements like books, pens and school uniforms. 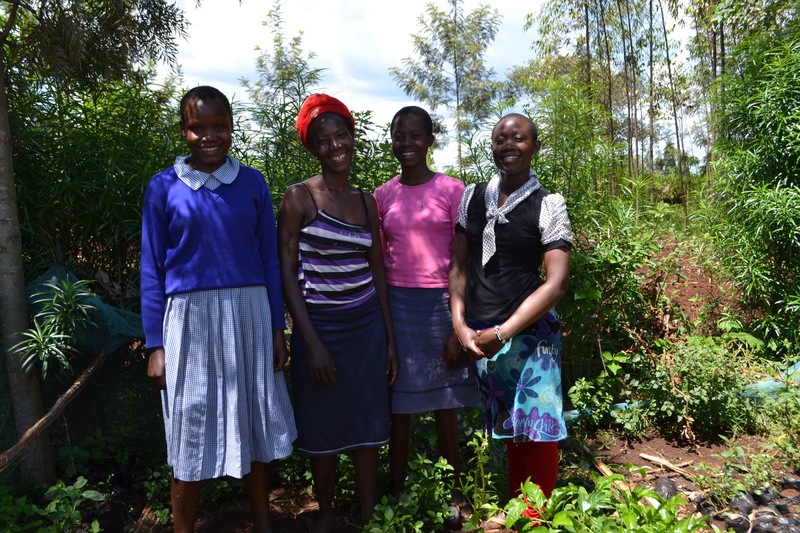 Linet was depending on her one acre of land, growing only what she knew – maize. Because she had not had any previous training on how to increase her productivity or even grow any other crop, production was dwindling and her situation became life threatening. The labour was burdensome; her health had deteriorated with her children’s too. Her house a grass thatched house will mud walls was caving in and the harsh cold and rainy weather was taking toll on the children and her as well. The situation was critical the land only produced three bags of maize at about 50 Kgs each, which would not last until the next planting season. Two years ago she was introduced to NCEDP and Team Kenya, to our Women into Enterprise project – a loaning and banking scheme to facilitate her agricultural activities. She secured a loan of KES 10,000 (around £80). NCEDP provided her with training on the best agronomic practices that would turn around her production and introduce her to new crops such as groundnuts. Grounduts have transformed her life considerably, her production was initially around 150 Kgs per acre (compared to just 5oKgs from maize) which sold well at market. She has now increased production even more with the acquisition of more land from the money she made from selling her crops. Today she can afford a smile, she managed to repay her loan and generate a healthy income for her family. She has also increased her crop production further adding crops like bananas and cassavas, which also supplements the family’s income and nutrition. Her daughters are now all doing well in primary school and the eldest has managed to go to a boarding school where she is able to concentrate on her education. This month Linet was also able to renovate her house! Could you provide a loan to a mother like Linet?